Be ready for anything on your shift in these men's scrub pants. The ripstop build features a total of eight pockets to organize everything from pens to scissors to your phone. There's a drawstring waist with an elastic back and a full-functioning fly. These fit great. I like being able to wear a belt with my scrubs. The pockets are all great. My only complaint is that the crotch area wears out after a around 9 months while only wearing once per week. XLT is perfect for 38-40’ waist and 34-36’ inseam. Best pants for work, hands down! These scrubs are perfect for my job. I work in the food industry and I have been wearing these scrubs for several months now. They are lightweight, but very durable. They also dry very quickly which is a bonus in my job. I will definitely being buying more of these! The pants are really comfortable and durable. I will buy more in the future as soon as these pants become available! Comfortable pant, plenty of pockets, belt loops are plenty wide, unfortunately I cant wear them anymore unless there is flooding. The length shrunk maybe by and 1.5 or more... I even made sure to hang dry them to prevent the shrinking. Next pair will be medium tall. Over all i enjoyed wearing this a great pant but never had the chance to really break them in while working. I work in the nursing home line of work for maintenance. Some days my pants take a beating from fixing water lines or repairing walls. They hold up and are still comfortable from the time I put them on, until the time I take them off. I would recommend to anyone. Has enough pockets and they are in good spots. I have noticed on a couple pants the crotch seam could of been stitched better. On those pants I can see that is what is going to wear out first. I bought several pairs of these scrubs, and I love wearing them. Having all the pockets is great! I get compliments on these scrubs. HOWEVER, I have a problem with the olive pants. After just a few washes in cold water, the pants faded so that they no longer match the color block top. None of the other colors have done this. Carhartt is working with the customer to address this concern. Two months ago, I purchased 5 sets of these ripstop scrubs. I was extremely satisfied with the fit, comfort, and construction of these scrubs. Following the advice of colleague, who warned that I should expect some shrinkage when they are washed, I laundered them in cold water and used the lowest heat setting in the dryer. Now the pants are almost too short to wear. I would recommend that Carhartt add 2 inches to the length of this style in order to compensate for the shrinkage. not a bad pair of fitting scrubs. I love Carhartt, but mine came apart after the third wash. Might not be a bad idea to have someone reinforce the seams if you buy these. Excellent fit very comfortable with lots of room to move. All the pockets are laid out nicely. Definitely buying more in the next few months and highly recommend. One of the pairs of scrub pants I bought had the seam come unsewed. Came loose like a zipper. First time I washed, it came loose. These are the best wearing scrubs I have had, and Carhartt is usually VERY high quality, so I am sure it is a fluke. Other pairs are great, and look good. Love them! I've had two other pair for 3 years! I haven't tried other scrub pants because I bought these first and probably wont buy any other kind. The pockets are deep and well placed, the pants are comfortable and look pretty good. The main reason I like them though is the belt loops and zip fly, I prefer to not feel like I'm wearing pajamas at work. The best cargo scrub I have worn over the last 20yrs. Great material many pockets, fits well. I would like deeper pockets with a closer to keep my large phone from falling out. I prefer to keep the phone in a front pocket, but they are not deep enough. Will purchase again they are excellentð???ð??? The color was a little off from my Olive shirt, but only in certain lighting. Still Happy with the fit and comfort. take the advice on the reviews and go tall if you want it to go all the way down. I ware these all the time. I love them very much because they have the elastic back waist band and I ware suspenders. I am built a little portly and I prefer to have the waist band flexible. I'm an ER nurse and have been wearing these exclusively for about 3 years. The material, fit, comfort, durability, everything about them is great...except one thing, the stitching. Every single one has had some sort of stitch failure. On the leg pocket, the crotch, the zipper, somewhere the stitching fails. I've had to repair nearly every one. ATTN Carhartt: FIX THE STITCHING PROBLEMS before your reputation for quality is tainted. FYI: I rotate through 7 sets so its not overuse, either. We appreciate your input and are sorry about this issue. Please feel free to give us a call if we can be of further assistance in this matter. In the meantime, please know that your feedback has been shared internally. My only complaint is that they are pretty warm. But the thick material definitely is why they don't wear out. I have purchased 5 pair in total now. I have had to have 3 pair of them fixed. There is a poor quality thread being used I believe. My most recent purchase I wore them the first day and the inseam ripped from the crotch to the knee. Good thing I have a person who sews in the family. I would only recommend them if there seemed to be any improvement to the quality in the future. I live the tops but the pants could use some work. Need another back pocket and the zippers pull apart like nylon zippers tend to do. Pants look great but most guys who wear a 3x like I do are not into slim pants. We may need to be but I like room in my pants to bend and to squat. Definitely should not be touted as rip stop. I was told about Carhartt Ripstop scrubs by a male nurse friend. He said he really enjoyed his other than ironically having a pocket tear on his. Listening to his words but ignoring the obvious signal I bought a couple pairs. After perhaps being worn 4 times one pair's crotch split while I bent down to change a child's diaper. Needless to say I was very disappointed. I'm now nervous about wearing my second pair after this experience even though they still look intact. I have had the pants for 4 years and not one problem. My inseam is 34 and I did not have an issue with that. I wear my scrubs at my waist or a tad below and I don't like a large amount of fabric touching the floor. especially in the hospital setting. Overall I think theses are a great scrub pant. Great look and comfort, but poor durability. I love the look and feel but was disappointed with both pairs I bought as both ripped at the crotch and side pocket In a matter of months. My husband loves these pants except for the fact that the crotch has ripped out in all 7 pairs of them. They haven't ripped anywhere else which is great since we work in a veterinary hospital. We were afraid dogs nails would tear the fabric, not normal wearing of them. The rip stopped -- after 5 inches! I like the look--more like a "male" design than others. However, the fabric gets that fuzzy /worn look pretty fast. And today, as I was kneeling down to pick something up, the inseam ripped 5 inches. Luckily I was at home, and changed into some old scrubs I had. Carhartt represents quality and durability, but these scrubs don't meet their usual high standards. I'm actually thinking about buying another set of these because of the look, but I will expect to replace them in a few months. Ripstop should certainly not be the brand name! My husband bought 3 pair of Ripstop scrubs in November of 2015. 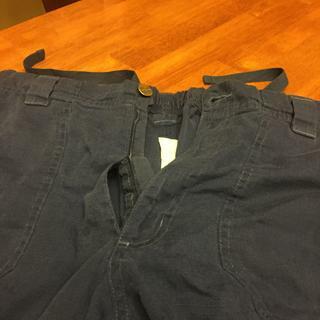 Within the first week the crotch had ripped out of one pair, then the next pair and finally this week (Feb 2016)the crotch ripped out of the last pair. He is a home health nurse and doesnt do anything out of the ordinary. And its embarrassing to be going to see a patient at their home and have your uniform rip in front of them. We've spent more money having to replace these scrubs. We are highly dissatisfied with the durability of the scrubs. The scrub pants look good and fit good but I have had a few pairs that ripped in random places such as the pocket for pens. Was disappointed in the durability of these scrub pants. I work as a nurse and purchased a couple pairs of carhartt ripstop scrub sets. Yesterday, when involved with a confrontation with an agitated patient, my ripstop scrub top ripped in my left arm-pit area about 10 inches in length, although I do not remember having my scrub top pulled. The quality of this product is not as durable as it appears. These pants lasted less than a year before they ripped. A lesson learned after my first order- next time order the Tall. I've been wearing these scrubs now for about 4 years and the only problem I have is the zipper pull tab. They have broken off of every pair I own. This includes 2 pair that I purchased in 2014. 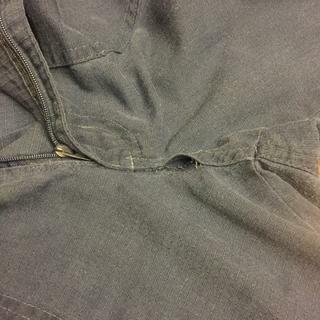 I've had 3 older pants zippers repaired and now have 2 more that need the same thing. Great fit if you are fit. The quality of material is excellent. Stitching seems strong. Unfortunately, I felt the fitting is catered towards a fitter person. If like me you are a bit heavier at the waist and hips it feels a bit like tight jeans, which isn't the most comfortable when working as a doc in ED. The waist pockets are way to small with a very tight opening. Having just bought a few sets mailed to Australia I just hope they last. I purchased a trial pair of the men's scrub pants (with the scrub top) based on the Carhartt reputation for durable, quality clothing. Unfortunately, while the durability and quality are present, the pants (medium) are too short to wear in a public institution. I am not tall (5'9"), but the short inseam (28.5") ruins the professional appearance...and shows way too much sock. Goober from Mayberry didn't wear pants this short. The best scrub pants I can find. Lots of pockets, the bet loops are a huge plus, and a fly. I love them. The only thing I would change is the pocket openings are a little small, other than that they're perfect. I love everything about Carhartt scrubs except one thing, the length. I wish I was 6 ft. tall, then these would be perfect, but every manufacturer seems to forget that there are a lot of us shorter people out in the real world. It's nice that you have catered to the excessively tall, and the (ah-hem# "regular" sized people, now how about offering a size for the #more numerous) rest of us, say about 29" inseam? These are by far my favorite scrubs I have ever worn. They do run a little big, but not too bad. Very durable as you would expect from Carhartt. Pockets are tough and well stitched so they wont rip when you are in a hurry. I got a black ripstop pair (top and cargo pants) while I was in my RN school. I am now licensed and about to start work. I will be buying the other 3 colors and these will be the only scrubs I wear (other than my other one pair of custom realtree scrubs). I highly recommend these. Check out the matching top. I am an ER Nurse, and as such I need a scrub that is durable, comfortable, and can provide me with pockets for all of my gear. These scrubs are 2/3 of what I really need. 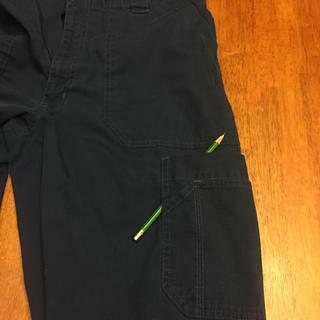 They are durable, and have the pockets, but the cut and fit are a bit "stiff" and do not offer much in the area of "extra room" for when i have a trauma and have to react/move or bend/climb quickly. In EVERY other way i am happy. 2 out of 3 us better than most! What are the leg lengths avaiable? BEST ANSWER: We will have Regular (31") and Tall (34") lengths available. BEST ANSWER: We apologize, we do not offer bleach resistant garments. Your suggestion will be shared with our Product Design team for future consideration. Are these scrubs bleach resistant? BEST ANSWER: They are not. I spilled cleaner on my pair while in the lab and they were definitely bleached. What is the mens pants called that have the split in bottom of the leg? BEST ANSWER: You may be referring to the Men's Ripstop Lower Rise Pant (C54208). They feature bottom vents at the inseam. We do not currently have them available on our site, but you may find them on scrubsandbeyond.com or another scrub retailer. They look tight like a straight leg pant. Do you offer relaxed fit? BEST ANSWER: These pants are not intended to be tight. Unfortunately, we do not offer a looser-fitting men's scrub pant. can you add another back pocket? BEST ANSWER: We will be glad to share your interest with Product Design. That would by GREAT to hold a wallet. I need to hold it in left leg side deeper pocket. Can you make a teal color? When will you get more grey pants? Do these scrub bottoms come with eyelet snap on cargo pocket for scissors? BEST ANSWER: No, however this style features eight pockets, including two front pockets, two side cargo pockets with pen compartments, and a back patch pocket. No, but there are more than enough pockets so that you can slide your scissors into a pocket so they are easily accessible. No snap, but lots of pockets. Love these scrubs. Are you planning on expanding the color options? Need a Carribean Blue option. What is the inseam on regular small scrub pants? BEST ANSWER: The inseam on all "short" sizes in this style is 28"; "regular" is 31," and "tall" is 34." These tore within the first hour of use. Is this something I should expect from this line? BEST ANSWER: We stand behind the durability of all of our products. We have reached out to the customer to ensure satisfaction. These are tougher scrubs than the usual. I washed them at least twice a week for the last 6 months. No tears. I would not, however, expect them to stand up to sanding drywall or, repaving my driveway. I have not had this problem. I wear them a lot, have several pair, and get them dry cleaned. I recommend them very highly. Would talk to customer service. I'm pretty hard on stuff. I wear them everyday to work and have never had a problem. I would send them back. Were they to small? Are any females wearing these? Why can't we buy these in the women's department? when are you getting more of the men's scrubs (Pants)? BEST ANSWER: We plan to replenish stock of our scrubs next week. BEST ANSWER: We are only able to ship within the US and Canada at this time. I love these pants, but how does the stethoscope loop work? BEST ANSWER: This is actually a general utility loop, not specifically designed for the stethoscope. I have had 4 pairs for the past 2 months and have noticed no shrinking. They are way comfortable and the pockets are holding up well. I still buy them though! "MADE IN CHINA" written all over every tag, shocked, as we thought it was an " AMERICAN MADE PRODUCT"
While some of our most popular gear is made in the USA, we also feature imported products.